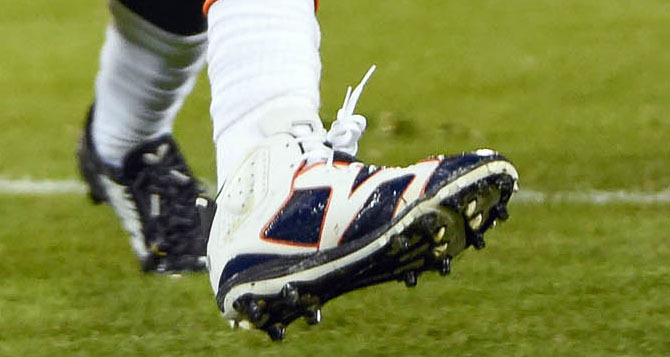 Bears' star wideout laces up custom cleats for Sunday Night Football. 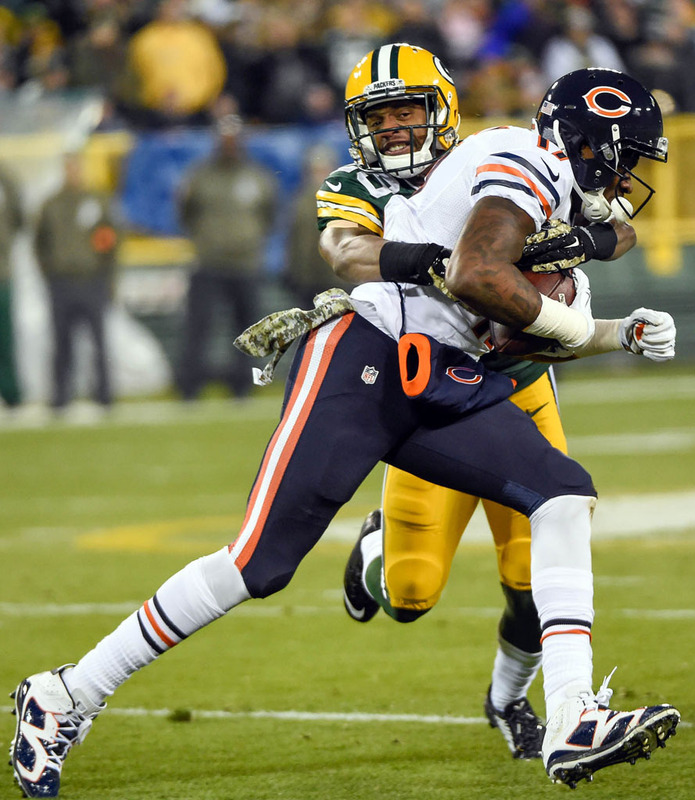 The Chicago Bears were thoroughly outclassed in tonight's game against the Green Bay Packers. And by outclassed, we mean losing 55-14. Aaron Rodgers, who had six touchdown passes in the first half, clicked on all cylinders, while everything that could go wrong did for the Bears. 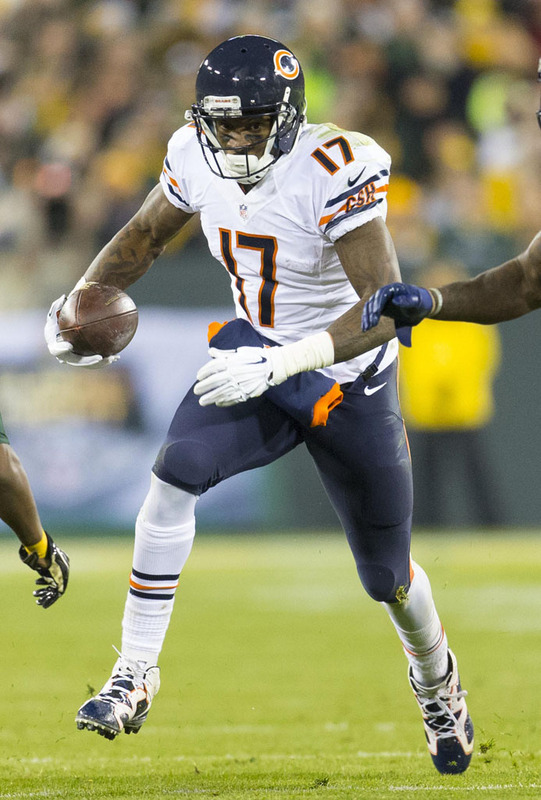 On the bright side, Bears wideout Alshon Jeffery played in a pretty nice pair of custom Air Jordan 6 cleats, essentially the 'Olympic' colorway with Bears-inspired orange trim. Custom cleats have been popular on NFL fields this season — is Jeffery's 6 among the best we've seen?